Railpictures.ca - Jason Noe Photo: Under a break in the clouds, CP train 234 is just east of Campbellville, as it heads down the Niagara Escarpment for Agincourt yard in Toronto with 8732 and 9673. | Railpictures.ca – Canadian Railway Photography – photographie ferroviaire Canadienne. 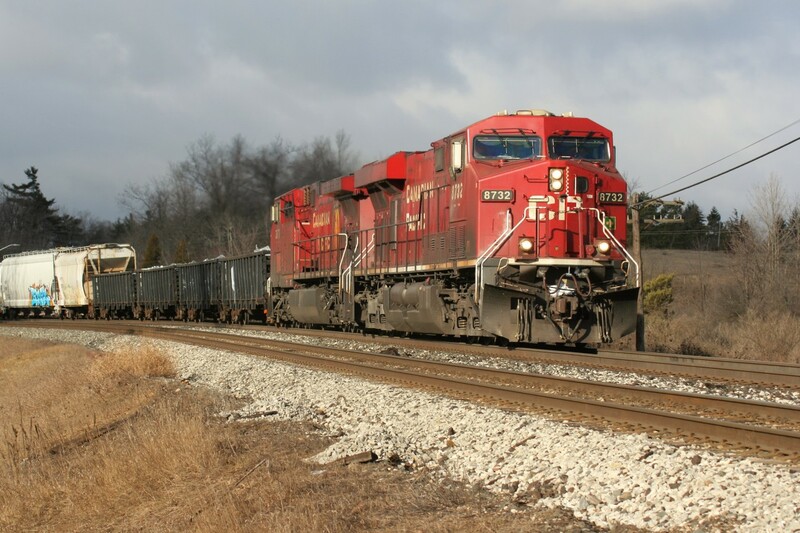 Caption: Under a break in the clouds, CP train 234 is just east of Campbellville, as it heads down the Niagara Escarpment for Agincourt yard in Toronto with 8732 and 9673.